Even though 2015 only saw my rating jump by fifty points, I’ve progressed a lot since graduating high school. For today’s post, I wanted to discuss the goals I set for myself back in January and how they panned out, as well as set new goals for next year. 2015 proved to be interesting, as I pushed myself in playing tougher competition and in being more active in the Richmond Chess Community. This one I achieved! In February 2015, I jumped to 34th in the country with a rating of 2051. While I wanted to break the top 30, I didn’t play in enough tournaments to stay competitive – mostly because of my college selection process and preparing to graduate. That being said, I still was ranked 44th nationally before turning 19. Trying to improve from 8th place finishes both my sophomore and junior years, my state title hopes ran into a wall in round 4. While I got off to a strong 3/3 start, I lost my fourth round game to defending champion (and eventual winner) Vignesh Rajasekaran and continued to bottom out with a two draws for a 4/6 score and 15th place finish. In what proved to be another disappointing State Championships for me, I did have one nice win in round 3 that I’ve never shared on chess^summit. In G/60 time controls, it’s crucial to maintain flexibility. 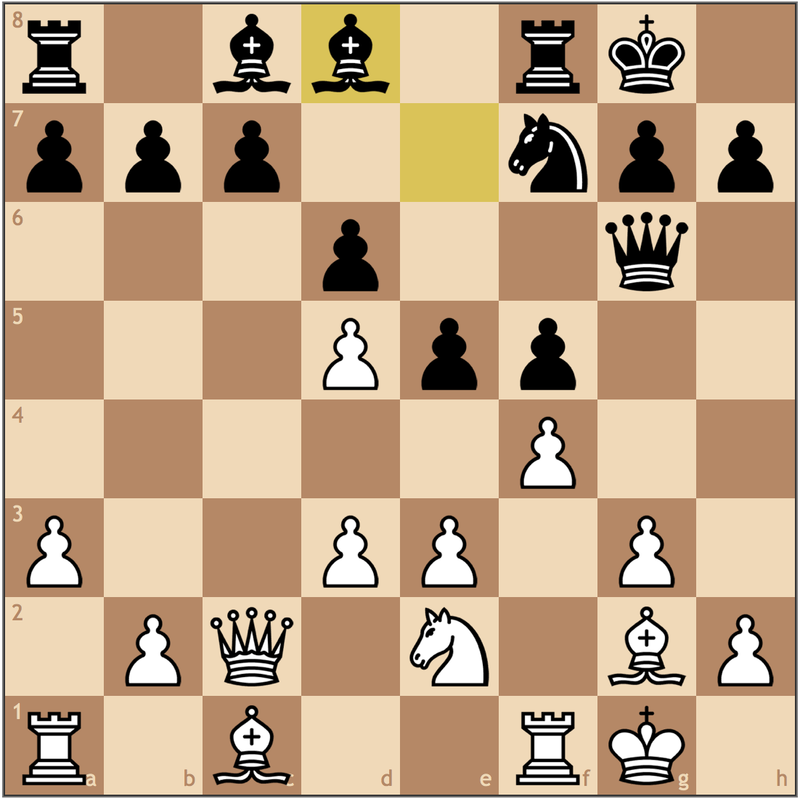 By inserting this move, I take away …Bf8-b4, a move I thought Perry had prepared for me. While this move is nothing special, it gave me a slight edge. My opening deviation has paid off! 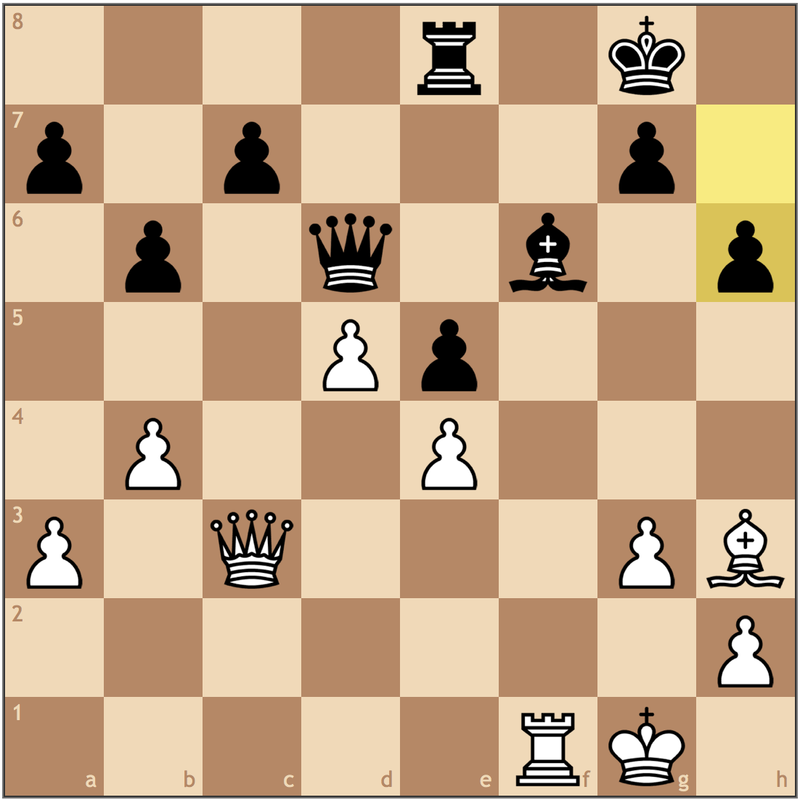 With this move, my opponent shows me he doesn’t know where the bishop belongs. By failing to optimize this piece (better was to c5 after a preparatory …a7-a5), he has guaranteed that he will need to waste a tempo in the future improving it. A strategic decision. Blocking in my own bishop, I protect the d4 and f4 squares with my pawn. 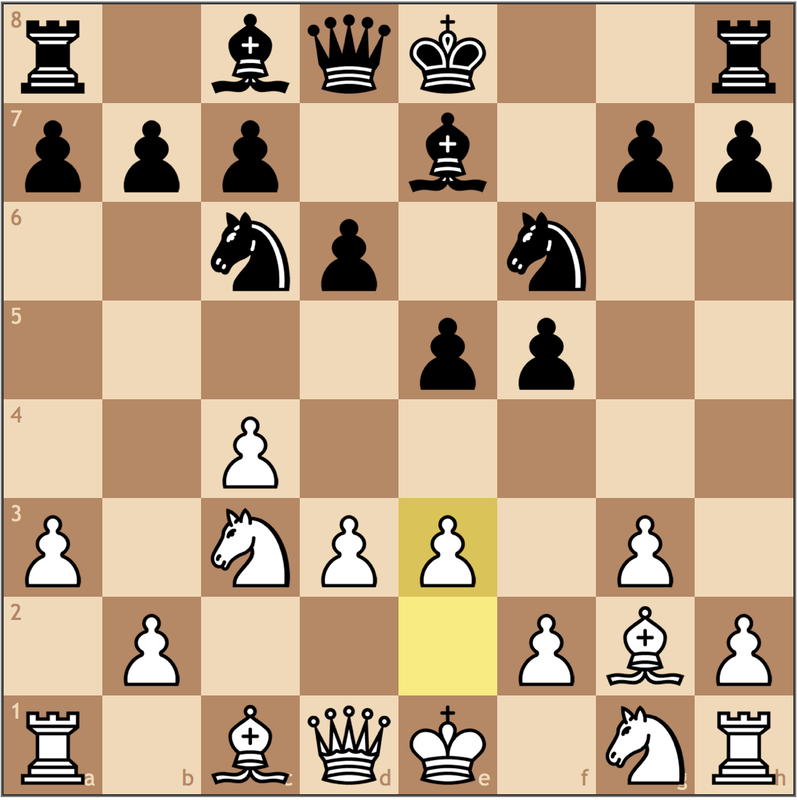 My goal is to play this position like a Reversed Closed Sicilian, meaning my play will revolve around the d4 square. A critical moment in the game. 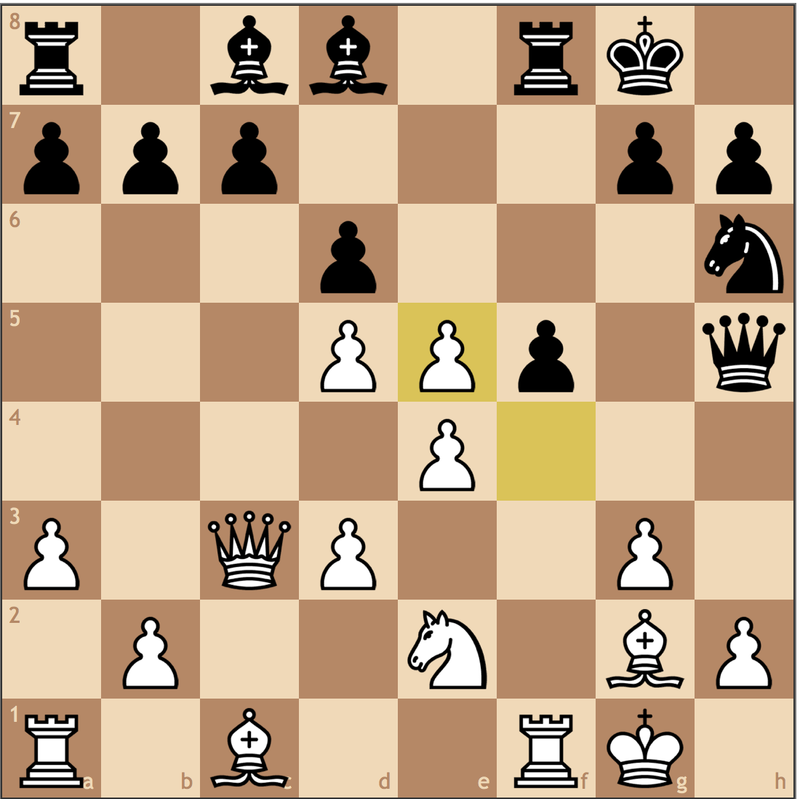 By placing my knight on d5, I give Black a choice: 1) admit his mistake and protect the c7 pawn, or 2) trade on d5 knowing that his c7 will be a long-term positional weakness. 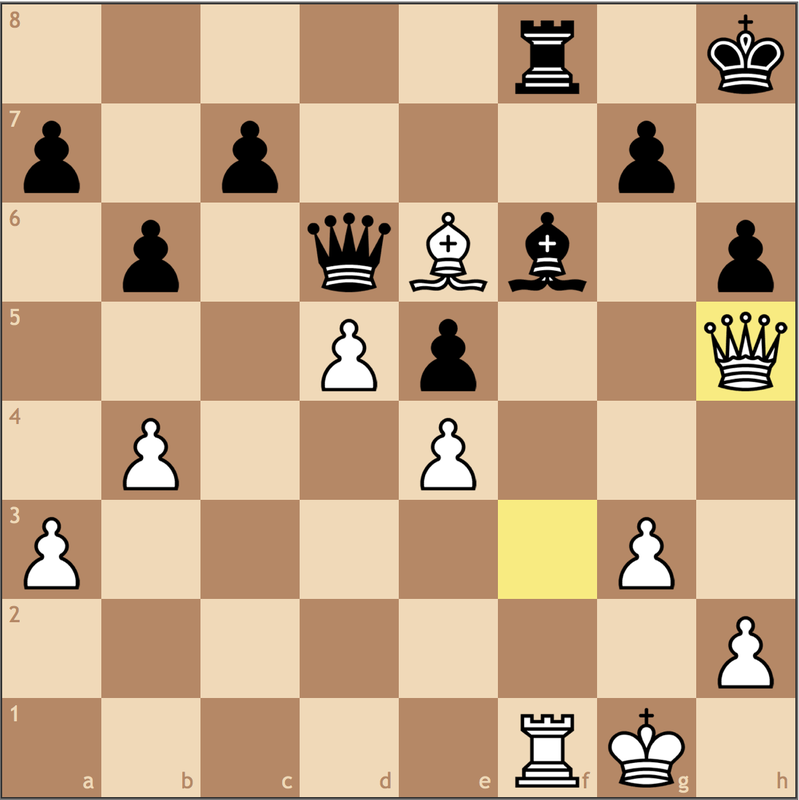 I plan on recapturing with the pawn, followed by controlling the half-open c-file. Shoring up the holes in my position. 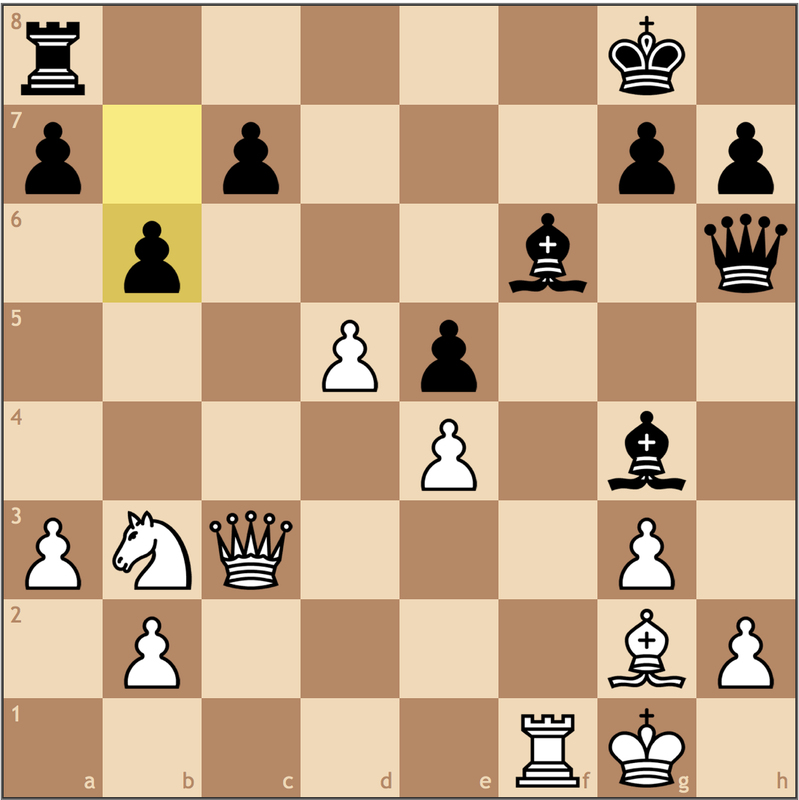 Black’s development seems better, but his army isn’t coordinated or prepared for a kingside attack. Once I lock up the center, I will put pressure on c7. Already, Black’s problems are visible. His knight on f7 has no future, and his passive bishops prevent Black from connecting the rooks with hope for normal play. With the static advantage, I just continue to improve my position. The most principled move in the position. Black has one weakness, c7, but it’s firmly protected for the moment. Now it’s time to simultaneously attack a second weakness, d5, and stretch Black’s defensive resources. A hard move to find given the time control. When your opponent has poor coordination and isn’t developed, sometimes it’s best to try to open the position to go for the attack. What about that knight on e2, you may ask? Well after 16… Qxe2?? 17. Bf3 is simply winning. 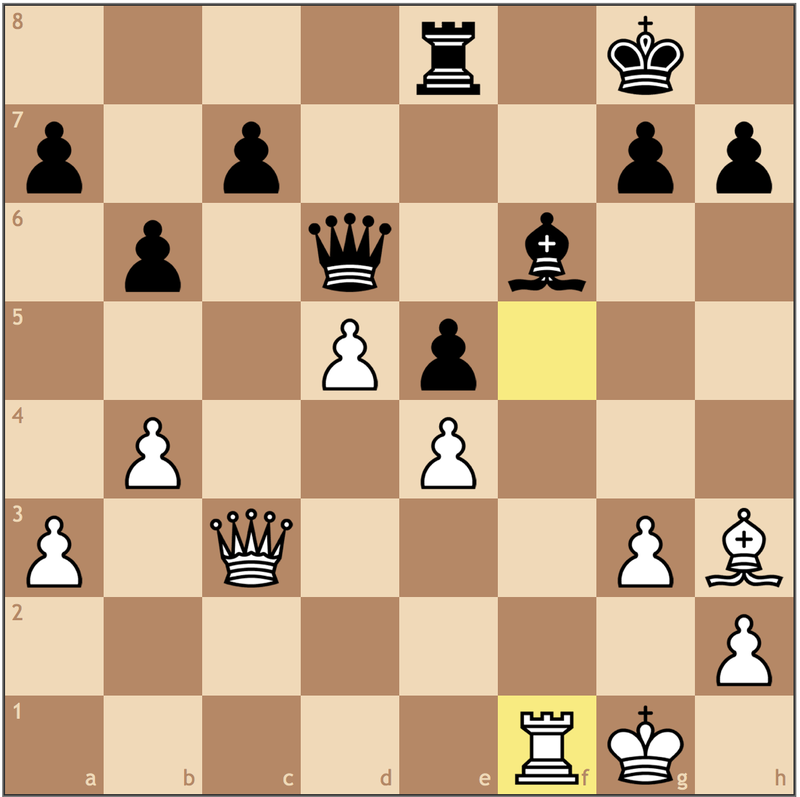 17… Qxf1+ 18. Kxf1 fxe4 19. dxe4 Bg4 20. Bf4 +- I saw this during the game and was content with my piece offering. 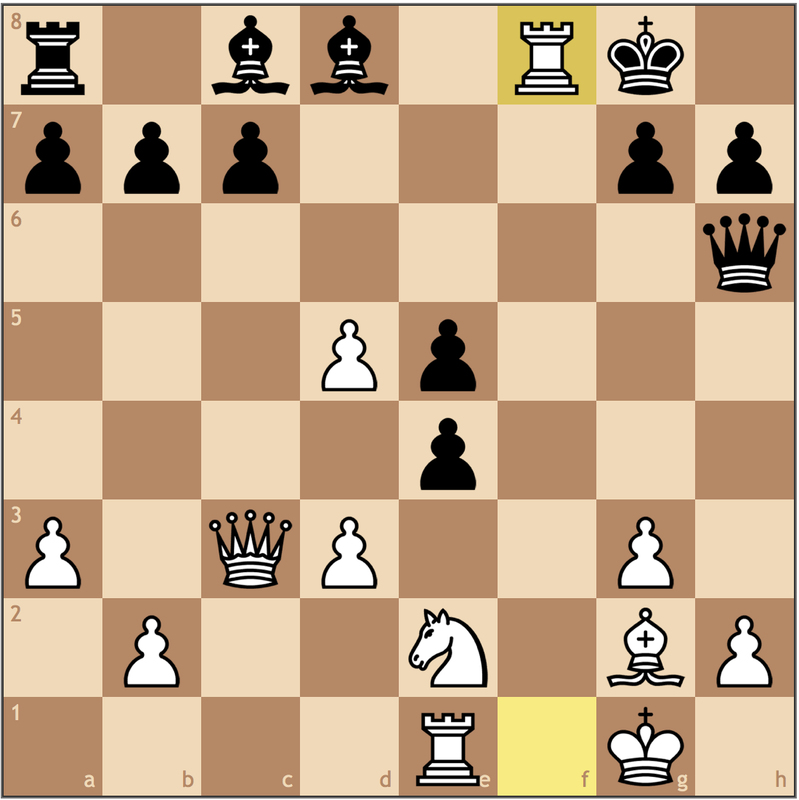 With this move, I trade off my worst piece and give Black a choice of further misplacing his pieces or compromising his structure. 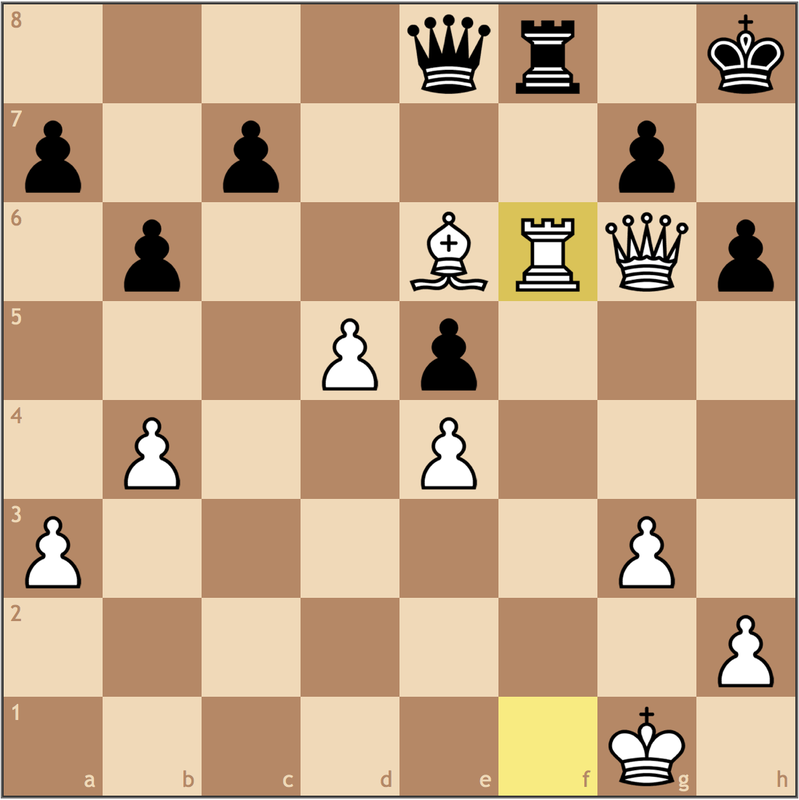 The whole point for opening up the position – here I get full control of the position once Black recaptures on f8. 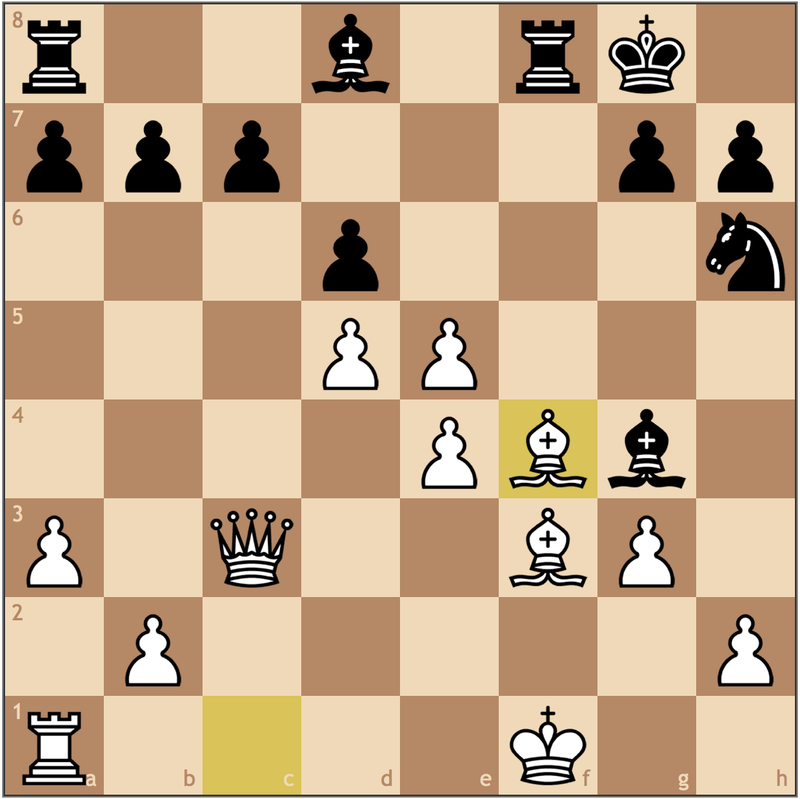 My knight maneuver to b3 was intended to reach c5, but now I’ve provoked a weakness from Black, the c6 square. Furthermore, it will become more difficult for Black to get rid of his c-pawn weakness with a …c7-c6 push without a pawn on b7. 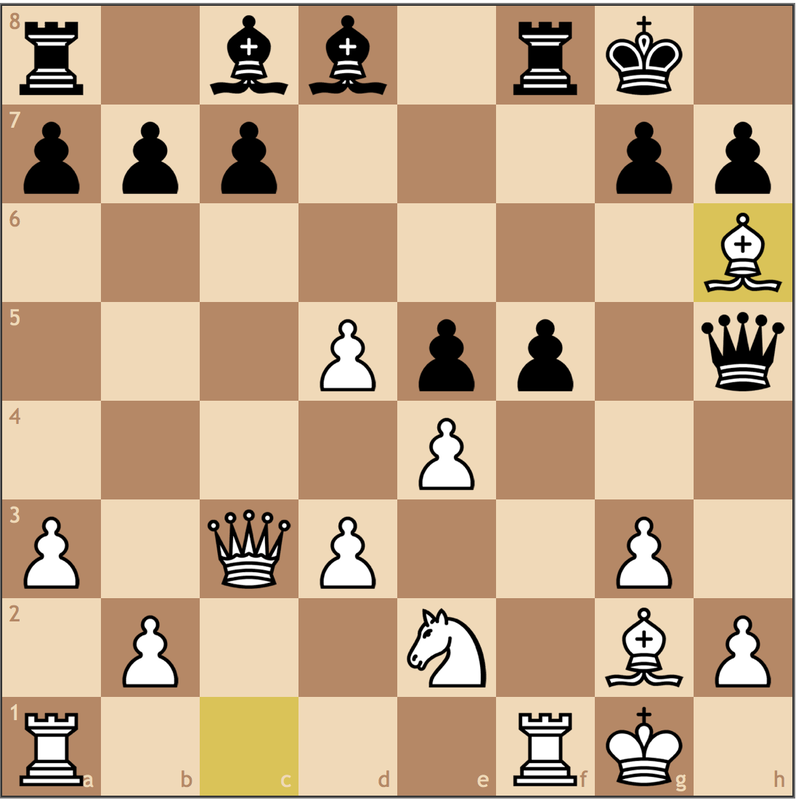 24.Nd2 Rc8 25.Nf3 Qh5 26.Nh4?! With less than ten minutes left, I played this move too quickly to fully understand what I was doing. 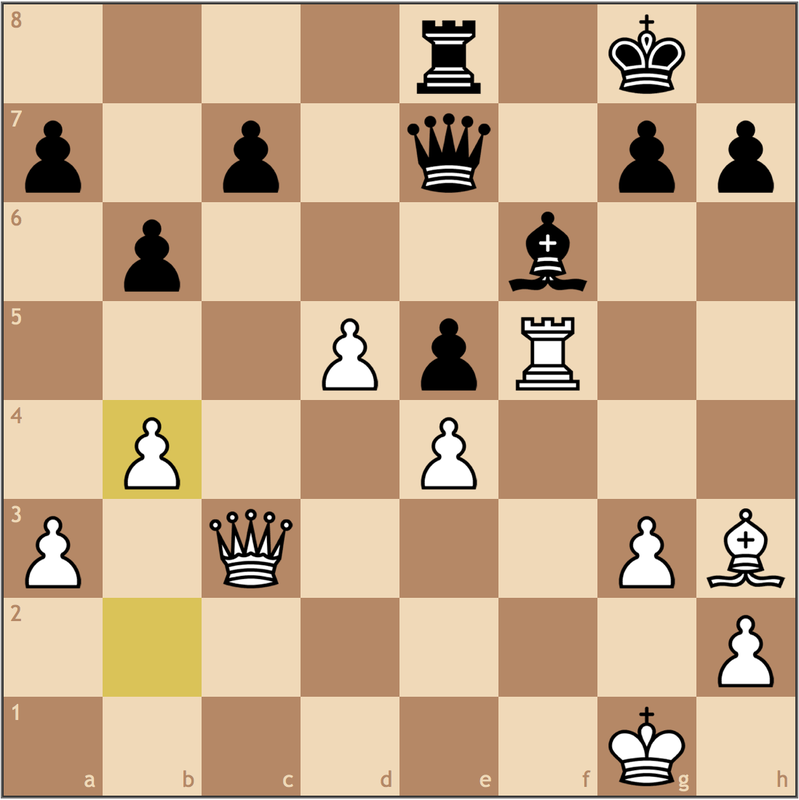 Here I’m offering a pawn for full control of the f-file, as after 26… Bxh4 27. gxh4 Qxh4 I was planning on 28. Qc6 with a nice hold on the position. 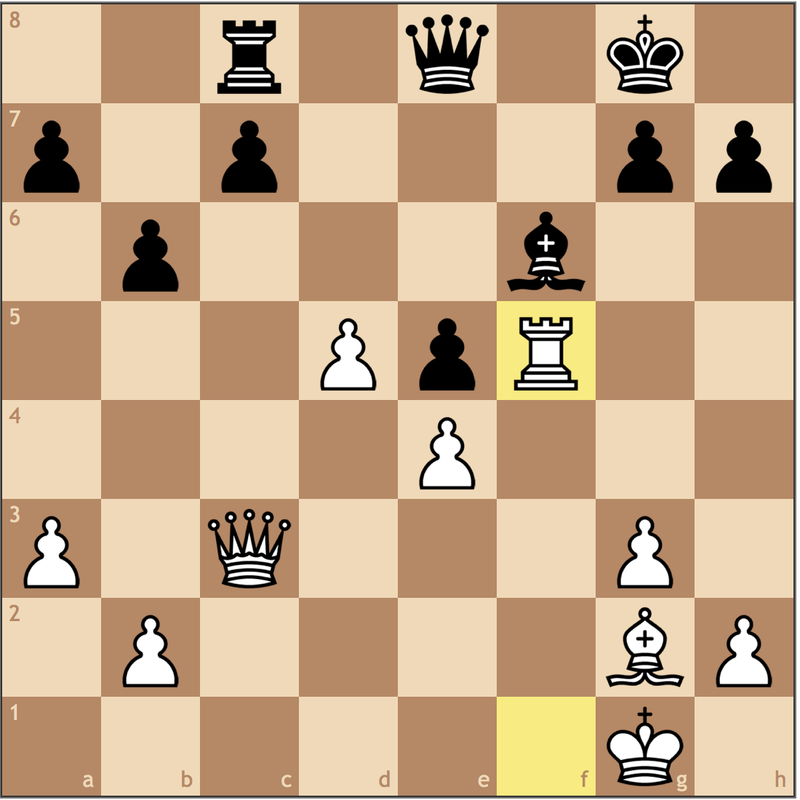 In reality, Black has 28… Qe7, and it’s hard to see what I’ve gained for a pawn and a weak kingside. My knight has finally found a square. 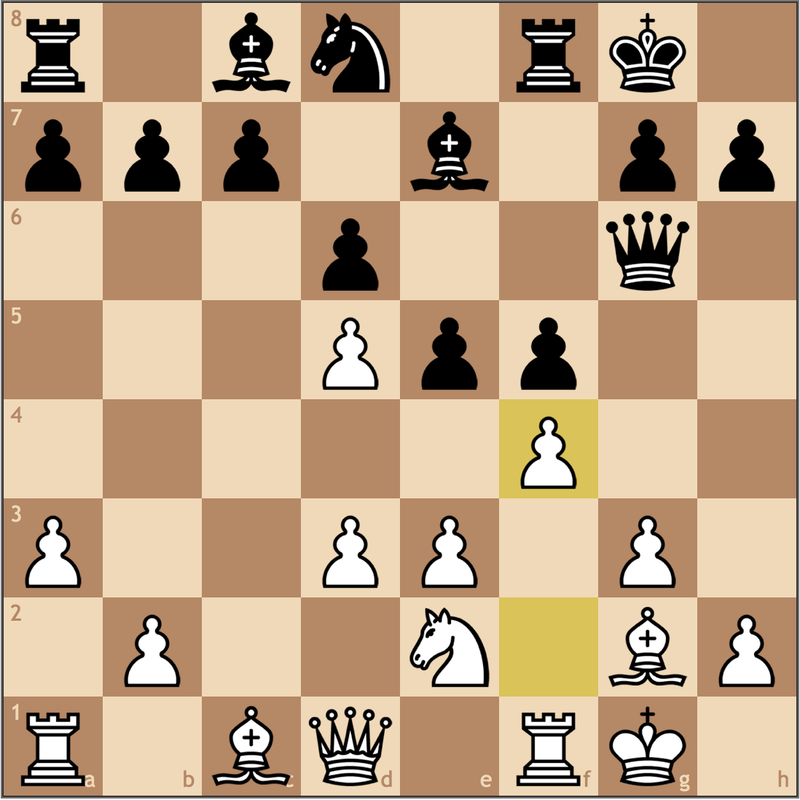 Black, already playing for a draw, immediately goes for an opposite colored bishop position. How can White win? My assessment derived from the common middlegame concept for positions with opposite colored bishops – attack the color your opponent is weakest. In this position, White is objectively better because all of Black’s weak squares are on light squares. 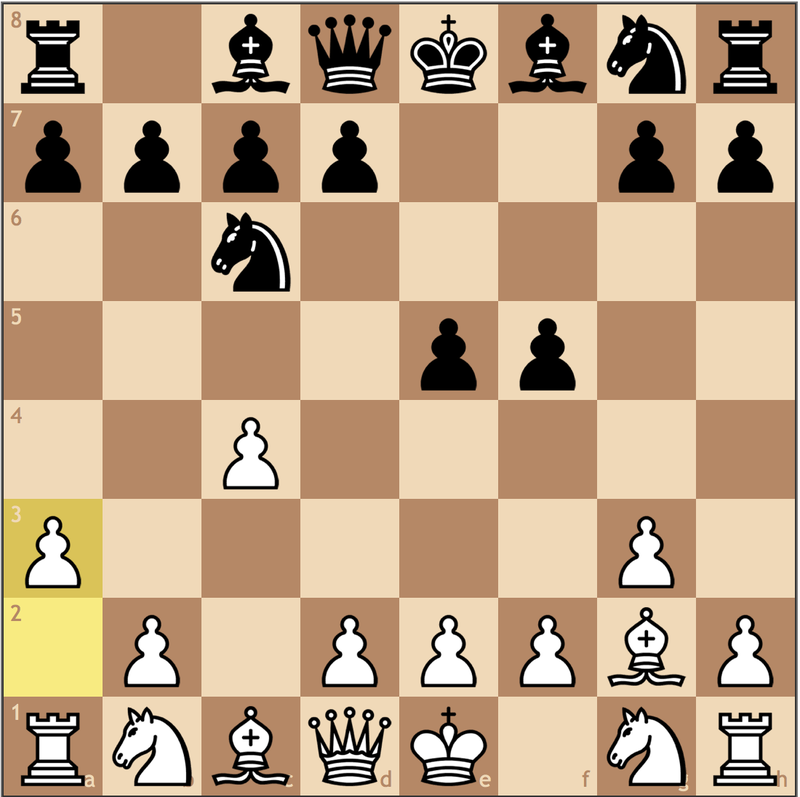 Without a concrete defense, my bishop will enter the game via h3, leaving Black paralyzed. There is no need to rush in this position. 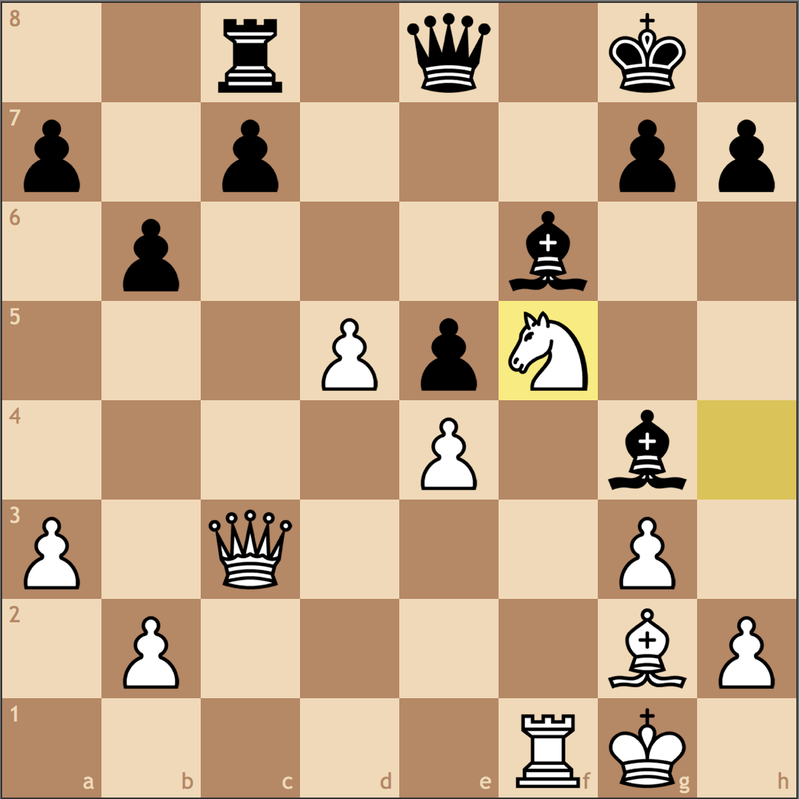 It was important to stop …Qe7-c5+, which would have allowed Black to simplify the endgame, making it more difficult to win. With no way to enter my half of the board, Black must stay passive to defend all threats in the position. A practical move. With this retreat, I prepare Rf1-c1, putting pressure on the c7 pawn, and make way for my h3 bishop to dominate the position on d6. 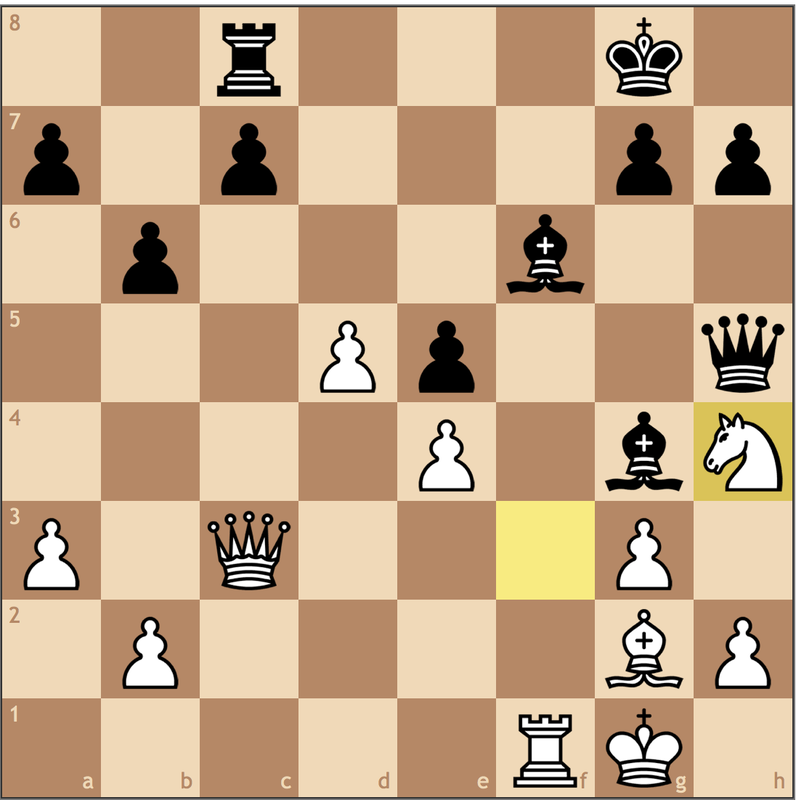 A costly blunder, as this move weakens even more light squares around the Black king. Originally aiming for a slow plan, I decide that now is the time to go in for the kill. 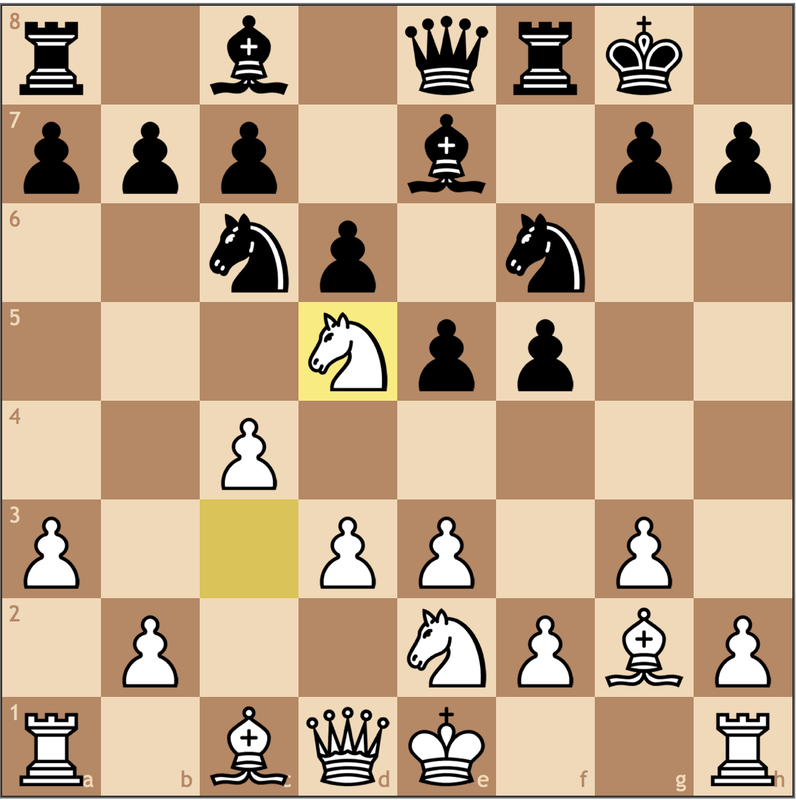 Due to his inability to control light squares, Black has little time to stop Qh5-g6, followed by Be6-f5, threatening mate on h7. Absolutely crushing! The rook is invincible since 36… gxf6 leads to 37. 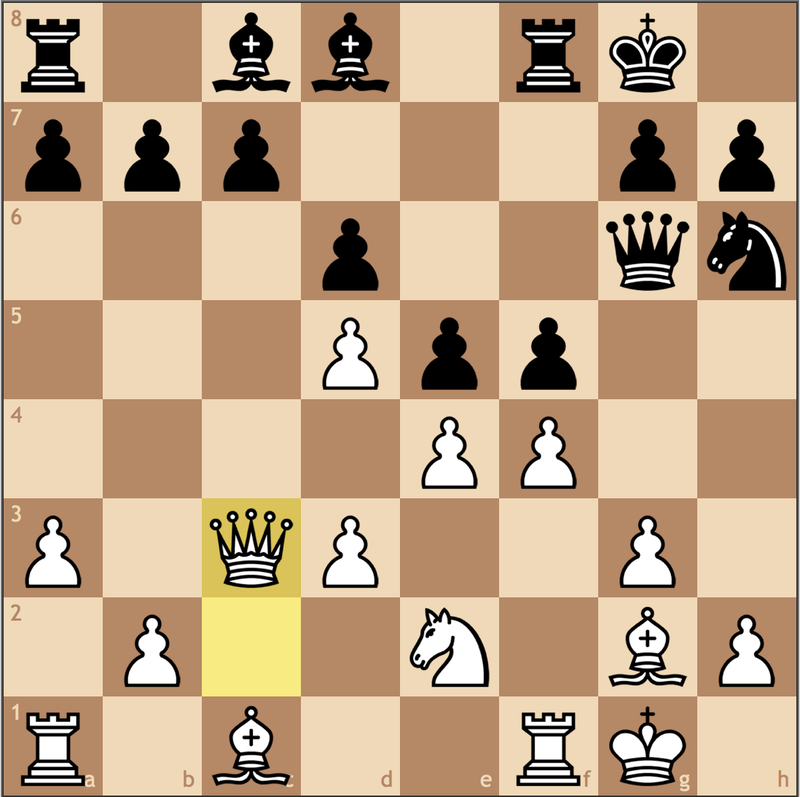 Qxh6#, and 36… Rxf6 gives up the queen. 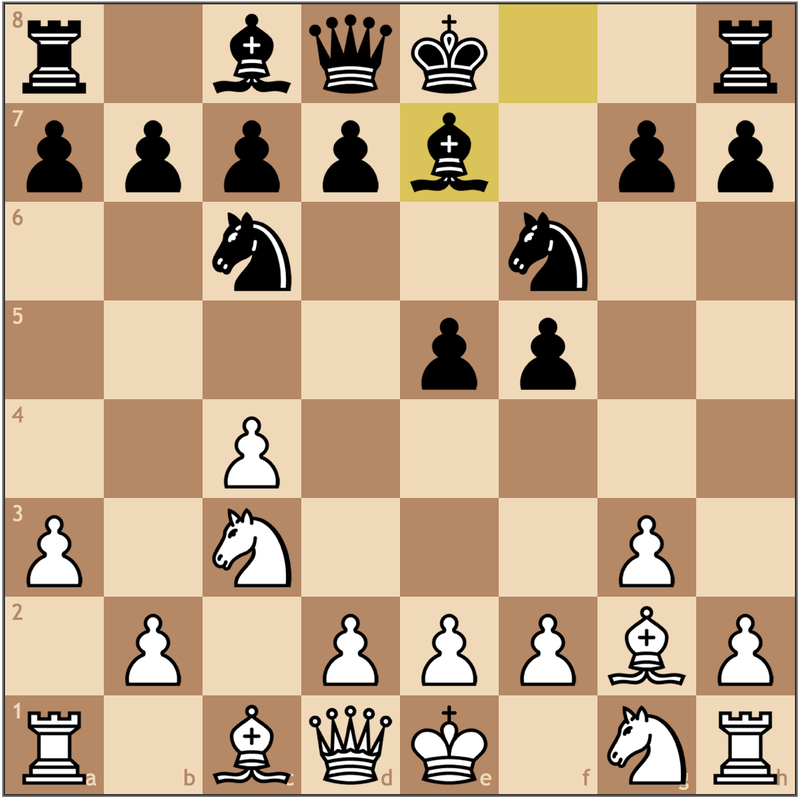 Black, thinking he would only be down a piece plays one more move. And my opponent threw in the towel as 37… Kh7 loses more material due to 38. Bf5 where I will be up a full rook in the final position. A fun game, and really instructive when discussing the principle of two weaknesses. It took me until May before I got my first decisive result against a titled player, but it was worth the wait as I beat State Champion and 2014 World Youth Chess Championship Gold Medal winner Jennifer Yu in the first round of the Cherry Blossom Classic. If you missed it, I posted a video of the game shortly after the tournament. Since then, I’ve added two more wins against National Masters to my resume, one at the Washington International, and another in the G/120 Pennsylvania State Chess Championships. 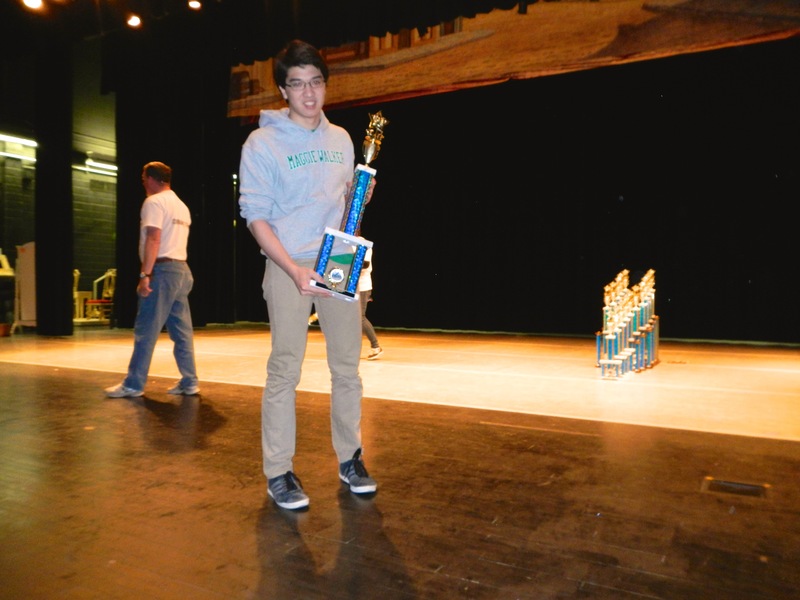 A year after coaching my high school team to win the U1200 National High School Chess Championships, the Green Dragons fell just shy, taking 5th in the final standings. Well, admittedly, this one was a goal I had set for the team on our way into Columbus. The team got off to a strong start, leading the section at the half-way point, but the long weekend was tough on the team, as a late slip-up meant going home with 5th instead of 1st. 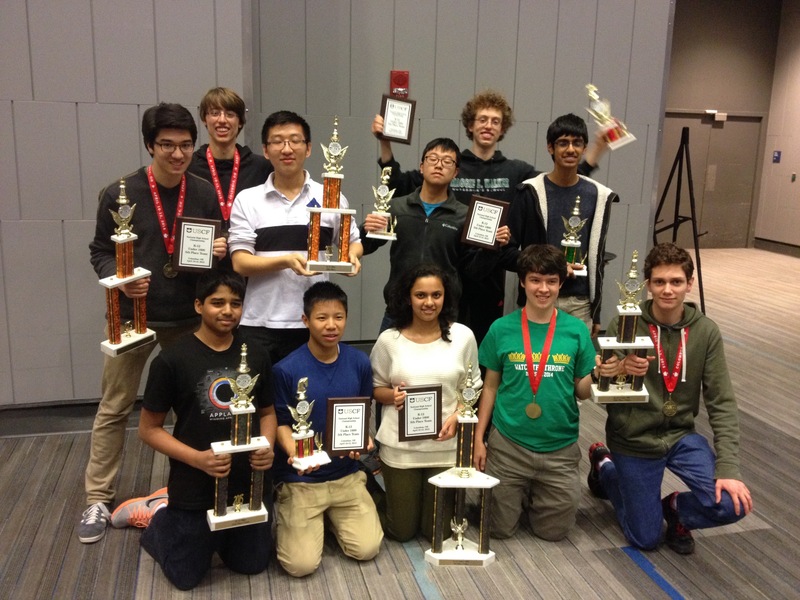 The team worked hard last year to prepare for Nationals, and since my alma mater won the National Championships in 2014 for U1200 in their first national championship appearance, their work ethic has been one of the great untold stories in scholastic chess. Since my graduation last June, the team has proven itself a force to be reckoned with, as two players on the team have already broken 1700! It will be fun seeing how they fare in Atlanta next May. This is the ultimate goal for me, and I fell 95 points shy. If I have to be honest with myself, last year I lacked perspective when it came to discussing breaking 2200, as it took me half a year to develop from a weak expert to a much more competitive junior player. With a lot more games under my belt, I’m definitely moving in the right direction. Well, you can’t really script the whole thing. Before moving out of Virginia, I had never placed in the top 5 at any State Championship. Now a student at the University of Pittsburgh, I’ve managed to break the curse three times! I took 4th in the G/15 State Chess Championships and 5th in both the G/120 State Championships and the G/60 State Championships. 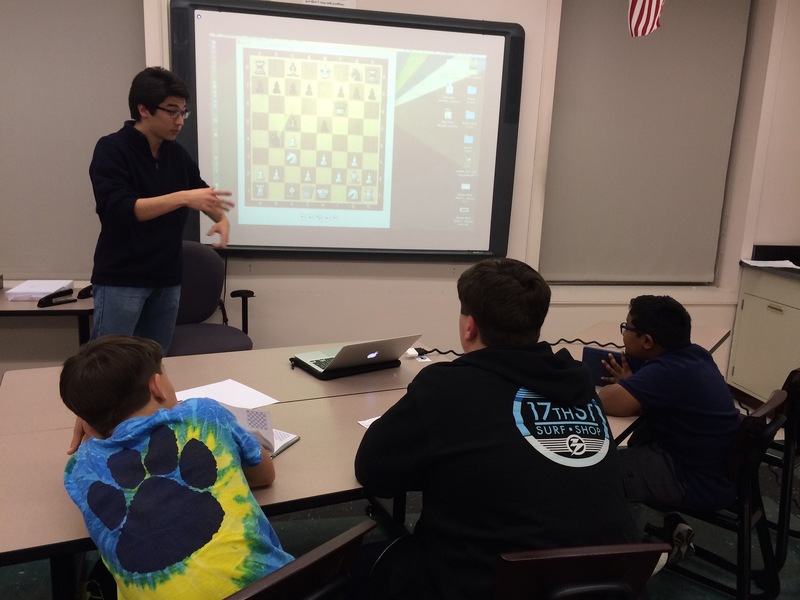 Directing the first ever MLWGS School Chess Championships last year was by far the best tournaments I’ve ever directed. Hopefully, I can be back next year to watch the games! 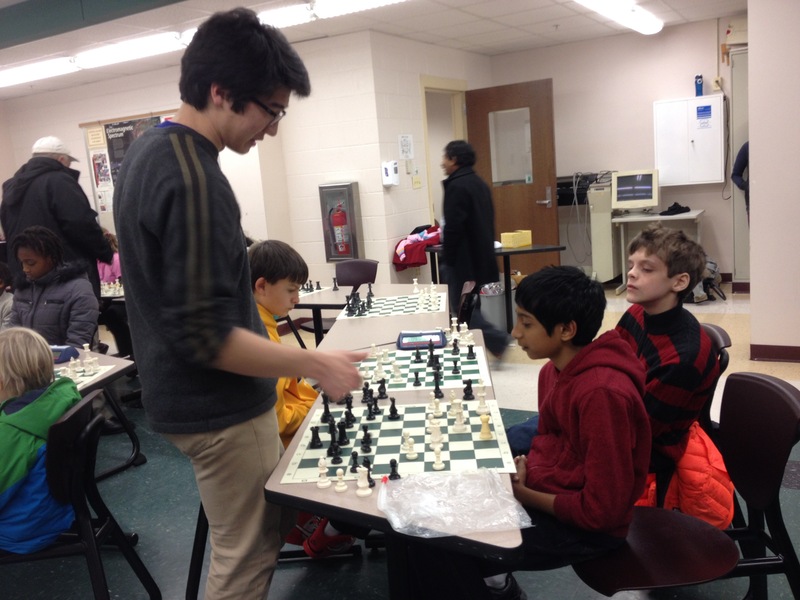 To round out my career as a high school chess coach and advocate for chess in the Richmond Area, I completed my term as a Director of the Virginia Scholastic Chess Association, as well as ran the 2015 MLWGS Chess Championships and volunteered at the most recent edition of Dragon Chess Camp. 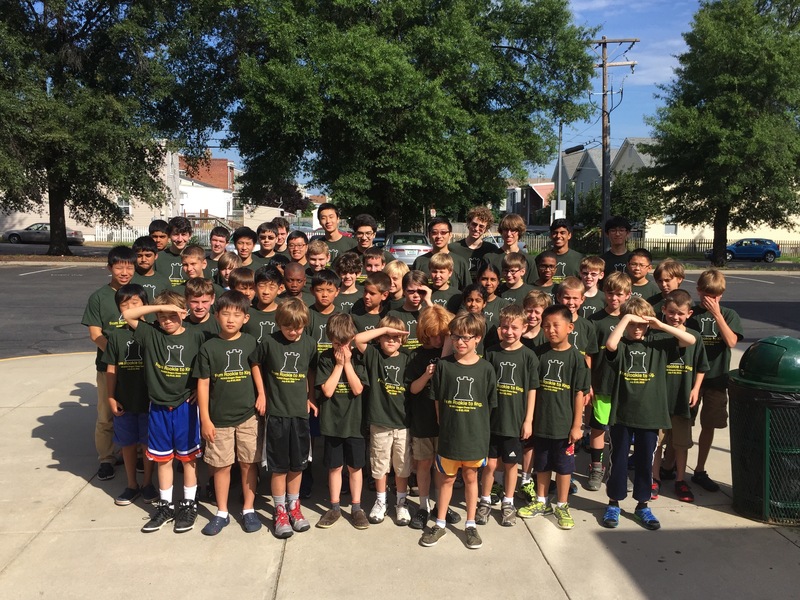 Working with my peers at this past summer’s Dragon Chess Camp was a bittersweet moment for me, as I’m not sure if I will ever be able to put together such a reputable scholastic chess program again in the near future. I guess chess^summit counts for something! Well, it wouldn’t be the end of the year if I also didn’t look ahead to the next 365 days, wouldn’t it? I’ve never said this was going to be easy, and that’s why I’ve revived chess^summit to help document my way there. 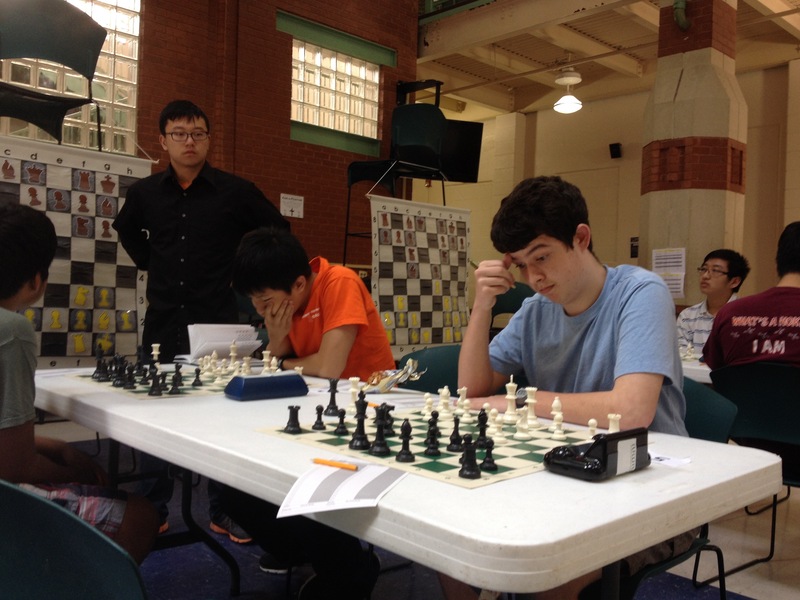 I’ve got a lot to learn between now and then, but with tournaments like the Pan American Intercollegiate Chess Championships, the Boston Chess Congress, and the Liberty Bell Open (maybe!) already lined up, I should have a lot of tournament exposure against strong opponents before I land in New Orleans this June. 3) Win a tournament – any tournament! I’ve always played up when competing, so this hasn’t been a realistic goal. However, since moving to Pittsburgh, I’ve played in sections where it’s not unrealistic to take the top prize. I got really close at the Robert Smith Memorial, playing on board one for first in the final round, only to fall short when it counted most. I think not getting enough games last spring really slowed my momentum, making it difficult for me to progress as a player. Prepared to learn from my mistakes, I expect a lot more tournament appearances in the near future. And that’s it for 2016, I think whatever I’m meant to achieve I’ll get there, and I’m intrigued to see where that takes me. This will be my last post for the year, but when I return in 2016, I’ll have games from the Pan American Intercollegiate Chess Championships, which could feature matches against teams like Webster, Texas Tech, and UMBC – so stay tuned! Free Game Analysis: Triumph at Emporia!